What a day! I was honoured to be hired again by Cliff Fox to be the corporate magician for another IT conference. With the previous company Cliff worked for, 2 or 3 years ago he booked me to add some close up magic during the breaks and then a close up magic show in front of the delegates before concluding the day with a team building magic activity – where I taught them some basic magic tricks and had them work together to improve each trick and demonstrate them to each other with some custom branded playing cards specially for the event. This was a lot of fun and added something a bit more light hearted to break up the serious IT business presentations during the day. So we kept in touch and when Cliff moved on to a new job at Pure Technology Group, he booked me for their first major conference event! This time the event was much bigger and instead of just a day time conference they had a full day of presentations followed by an after party for me to mix and mingle amongst the families too. As well as close up magic using playing cards, borrowed money and jewellery, I also incorporated the new Pure Technology Group company logo and a photograph of their CEO to make things a little more personal! 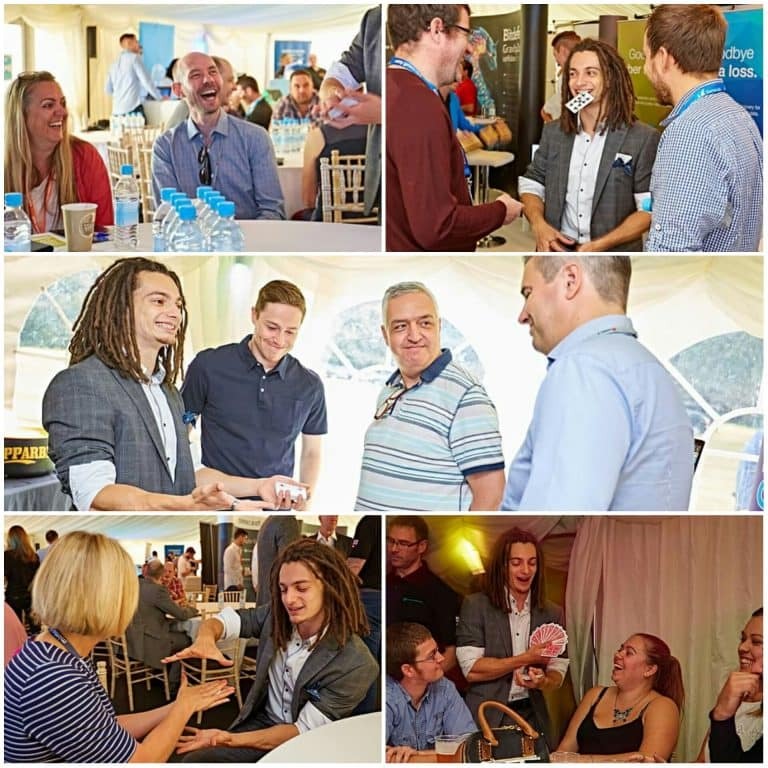 As you can see from the photos and videos the event was a great success, I had fun performing alongside a fantastic juggler and received great feedback from all the staff. So, if I’m lucky, I might be back again for more corporate conference magic next year! 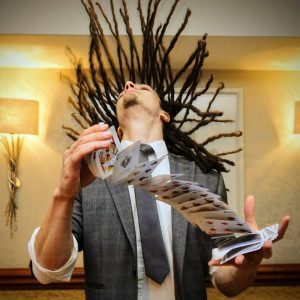 If you’d like to add some magic to your corporate event, please contact me to check my availability and receive a free quote!